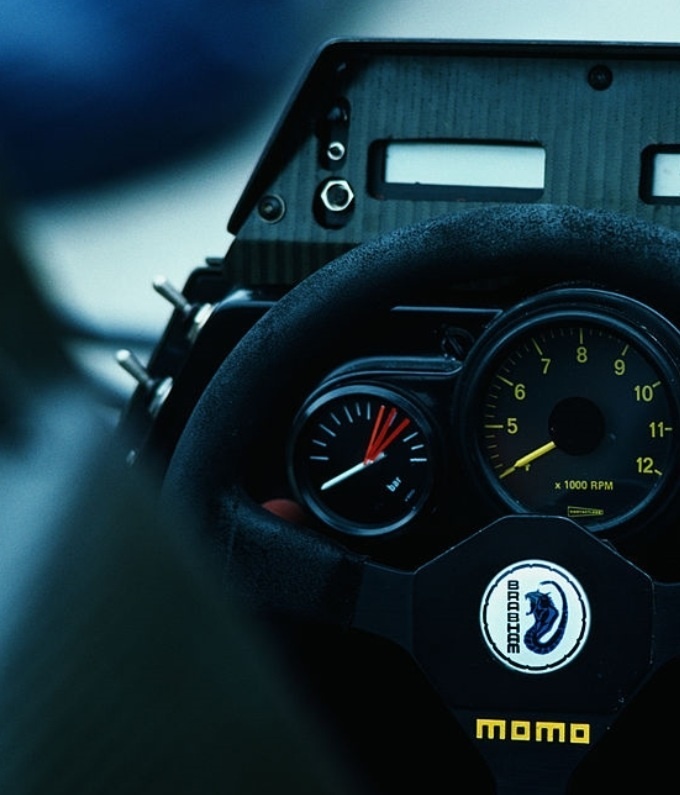 The Brabham BT52 BMW took the world title in Nelson Piquet’s hands in 1983, the cockpit shot is a BT53 during the ’84 British Grand Prix weekend. 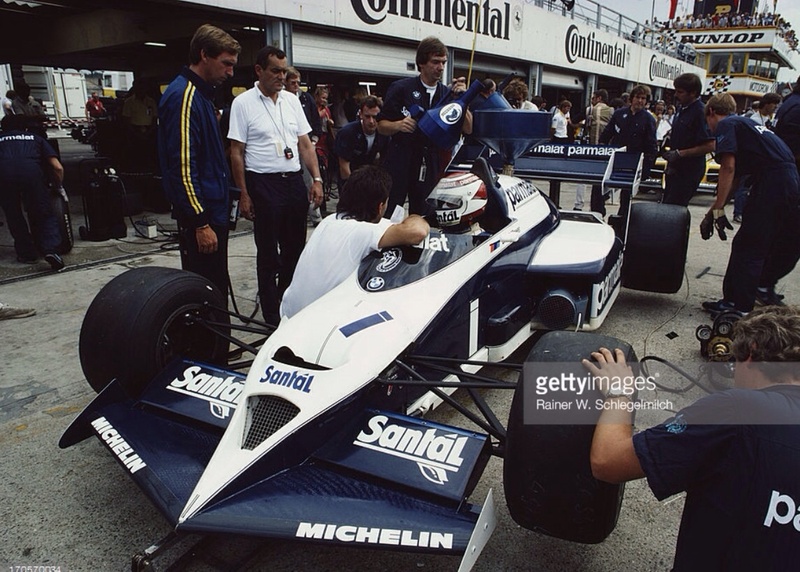 The photo above is Piquet’s BT53 being attended to by the cars designer, Gordon Murray, whilst white shirted Paul Rosche, the 4 cylinder BMW engines designer looks on. It’s practice at Hockenheim during the ’84 German GP weekend. Not a good meeting though, both Teo Fabi and Nelson retired with turbo and gearbox maladies respectively, the McLaren MP4/2 TAG’s of Prost and Lauda were first and second. One of the most beautiful F1 cars and I always had a weak spot for Nelson. One of the best drivers (when motivated) and technically able to get the best out of a car, an F1 icon.